I’m not an Olympian and not likely to be, I haven’t bought tickets to see any of the events but don’t take it wrong and think I’m not supportive of the games or the competitors. These individuals will have spent years developing their fitness levels and skills to compete at a truly global level, so they deserve our respect and support. 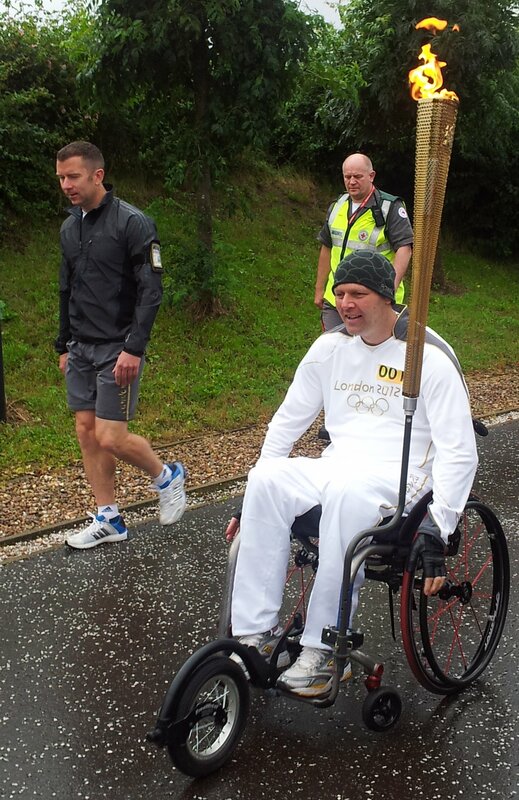 Whether they be able bodied or competing in the Paralympics they are still Olympians. They may not all come home with the gold, silver or bronze medals, but they will always be special. So what bought these comments? Well this morning Sharon and I got up just after 5:30 am, so we could get down the National Space Centre in Leicester to see the Olympic flame as it makes its way across the country to finally rest in London in a few weeks. It had arrived in Leicester last night and was due to leave a little after 7 am. 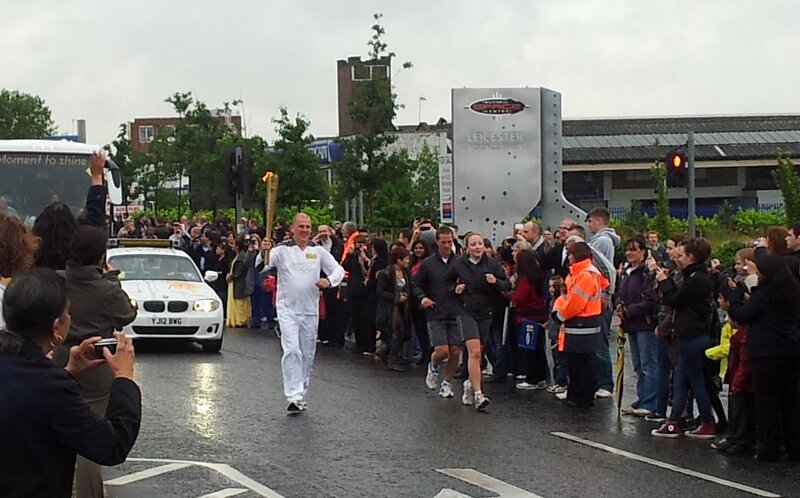 Despite it being a damp, grey morning and not the glorious sunshine the torch bearers deserve, hundreds of people of all ages, race and backgrounds, lined the pavements and streets to cheer on the torch bearers as they made their way through Leicester and out towards Loughborough. I think that it’s awesome that there seem to be a lot of people trying out new sports. One of my work friends even has tickets to see the Archery this year and I have an inkling feeling that he’ll be taking up the sport, sooner rather than later!